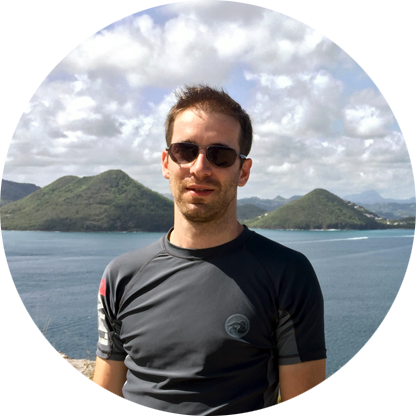 I am Matthias, currently the Lead Software Developer in the Software Engineering Laboratory (SEL) at McGill University (Montréal, Canada). We are building TouchCORE, a multitouch-enabled tool for agile concern-oriented software design modeling aimed at developing scalable and reusable software design models. I am passionate about tech, table tennis and specialty coffee. I enjoy building and improving software. With an eye for details and the ability to understand and see the big picture, I am able to provide well-thought-out solutions. I strive for reusable, clean and maintainable code. It also allows me to quickly understand new/unfamiliar code or concepts and connect the dots when debugging and solving problems. I see myself as a generalist, knowing various technologies and the ability to quickly learn new technologies and concepts. I am also currently a PhD Candiate at SEL under the supervision of Jörg Kienzle. I am working on Concern-Oriented Reuse (CORE), more specifically on bridging the gap between code and models. My goal is to make existing software frameworks reusable at the modelling level while at the same time exploiting the benefits of the higher level of abstraction. This can also lead to improvements for users reusing those frameworks. I am generally interested in software engineering, but in particular in model reuse, concern-orientation and model-driven engineering.